These are the perfect little sweet thing to have with your morning coffee. This recipe is from my good friend Keila, an exceptional baker, artist, home renovator, preserver of fruits and vegetables, and general all-round inspiration. A couple of years ago I set up and ran a cafe which became known for these lemon yoyos and I ended up making many, many batches each week to keep up with the enthusiastic demand. Preheat oven to 180°C. Put all ingredients into the bowl of a stand mixer and beat on a slow setting at first (otherwise you’ll create a cloud of flour and sugar); once the mixture has come together, crank up the mixer and beat until thoroughly combined. Take teaspoons-full of the mixture and roll into balls; if you want to have uniformly-sized yoyos, then weighing is the way to go – 15g of dough makes a lovely little-sized biscuit. Pop onto a lined baking tray and then using your first two fingers, lightly press down to flatten slightly. Each tray of biscuits will need to bake for around ten minutes and I’ve found it’s easier to just bake a tray at a time. Once cooked, put biscuits on a cooling tray and leave until completely cooled before icing. It’s easiest to make this in a stand mixer or food processor. Combine the icing sugar, butter, and lemon zest until smooth and then add enough of lemon juice to make a firm mixture that isn’t sticky; you should be able to roll it into a ball in your hands. If the mixture seems a little bit sticky, try leaving it for ten minutes to firm up, or just add a little extra icing sugar. Take teaspoons of this mixture, roll into balls and sandwich between two biscuits and leave to set. 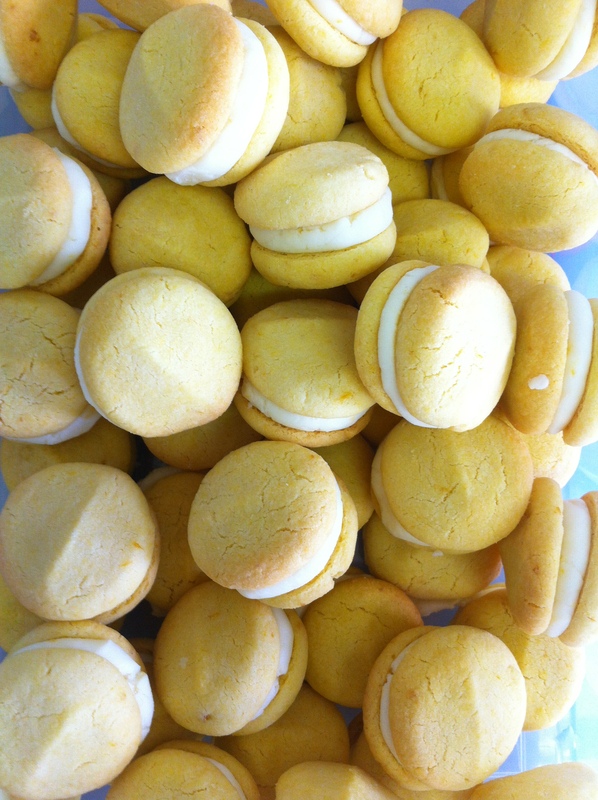 I find that the lemon flavour of these biscuits is better if you wait a day before eating them.